The Stillwater power station in Churchill County, about 80 miles east of Reno, will add a 24-MW array of solar photovoltaic panels (peak capacity) to an existing 27-MW geothermal power plant, making it the first of its kind in the U.S.
Get Your Daily News From The GRC! Introducing Global Geothermal News, a single source for news and events for the world-wide geothermal community. 2012 GRC Advertising Rates Are Now Available! Below is listed the three companies in the Independent Power Producers industry with the highest operating margin. A healthy operating margin is required for a company to pay for its fixed costs and generate cash. Ormat Technologies is highest with an operating margin of 21.8%. AES is next with an operating margin of 21.2%. Calpine with an operating margin of 18.0%. Earth Heat Resources is moving closer to obtaining project funding for its Copahue Geothermal power project in Argentina. It was good to be green for Northern Nevada in 2011. Despite high unemployment and challenges in the real estate market, the renewables sector posted several positive milestones in the last year. Geothermal had an especially good showing. The University of Nevada, Reno snagged the first-ever National Geothermal Academy program in the country, bringing people from around the world to UNR this summer. What if all the energy we needed was stored underneath the ground we walk on every day? [From thinkgeoenergy.com] The Aluto Lango project in Ethiopia, an extension of an existing geothermal power plant from 7.3 MW to 70 MW is expected to cost about $270 million. Fred Henderson of Hendco Services and Paul Morgan of Colorado Geological Survey recently completed a study and issued a report providing new data about the Poncha Hot Springs geothermal resource. Scientific observations suggest existence of a deep, high-temperature reservoir capable of producing electricity in significant amounts. Stretching 50 miles from southeastern California’s Salton Sea across the border with Mexico to the Gulf of California, the Imperial Valley is an area of unique desert beauty, one that lies almost entirely below sea level. 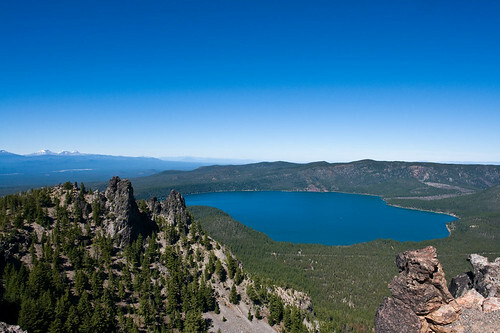 The area is also somewhat rare in its combination of geothermal and solar energy resources. The Newberry EGS Demonstration project got one step closer to approval December 21. The government has issued its environmental assessment and now the public has a month to comment. The federal environmental assessment predicts there will be no impact on local groundwater quality or quantity from the project. Nicaragua supports the development of renewable energies, especially wind power with wind turbines of Suzlon and Vestas, but also photovoltaic solar power and geothermal energy. Nicaragua will include 36 MW of geothermal energy to the national grid later this month. The 36 megawatts are part of the 72 megawatt geothermal energy field generated by the San Jacinto-Tizate, located in the municipality of Telica, province of León and the Pacific volcanic chain of Nicaragua. Quttinirpaaq National Park Reserve in 1988 (Courtesy Corel Professional Photos). The park is dominated by rock, ice and mountains. Along the park’s Arctic Ocean coastline, a fjord leads to a secret valley that is heated by geothermal activity. In this valley, according to unconfirmed reports, sits Santa’s secret village with Mrs. Claus and the thousands of elves hard at work making toys. A manager at the Kipevu III power plant, Mr Robert Brudenell, oversees operations. KenGen is boosting geothermal production, which despite being capital intensive, is cited as the cheapest and most sustainable energy option for Kenya. Laban Walloga (courtesy businessdailyafrica.com). The Kenya Electricity Generating company has started the second phase of drilling steam wells at Olkaria that will propel geothermal energy as the main source of power as erratic weather makes hydro-generation increasingly unreliable. KenGen is aiming to raise geothermal production from 150 megawatts or 14.2 per cent of total supply to 430 megawatts by 2014, with another 540 megawatts being added four years later. That would reduce dependence on hydro -power which currently feeds 72 per cent of energy to the national grid. Bali Governor Made Mangku Pastika officially recommended on Tuesday that a geothermal energy project in Bedugul be scrapped, opting for an alternative power source. Pastika said exploration for the geothermal project should cease in favor of the Bali Crossing project, in which Bali would get power from Java via an aerial cable. Ormat Nevada has signed a $21.4m engineering, procurement and construction (EPC) contract and a credit agreement with Thermo No. 1 BE-01, a unit of Cyrq Energy, to build an Ormat Energy Converter at Thermo I's existing geothermal project in Utah, US. The U.S. Department of Energy (DOE) Office of Indian Energy Policy and Programs invites you to participate in an interactive webcast designed specifically for Tribes and Bureau of Indian Affairs (BIA) staff to provide information on developing geothermal resources on tribal lands. The U.S. geothermal industry will start 2012 with billions in planned investments, according to Leslie Blodgett of the Geothermal Energy Association. Writing for Renewable Energy World, Blodgett says U.S. capacity reached 3,102 MW by early 2011, and up to 5,745 MW is now in development. In a proposal on the land-use plan for the power plant Þeistareykjavirkjun in northeast Iceland, up to 40 geothermal boreholes are assumed. The proposal has been advertised at the district council of Þingeyjarsveit. In August 2011, a cumulative 2,383 MW of geothermal energy capacity across the USA generated 1,354 GWh of electricity. 1 MW of capacity has been added year to date and electricity generation from geothermal energy sources is 4.59% higher than the same period the previous year. Geothermal energy now accounts for 0.23% of total capacity across the USA and has accounted for 0.01% of all added capacity year to date. Ormat Technologies, Inc. announced yesterday that it has signed a termination agreement with respect to the power purchase agreement (PPA) and joint operating agreement with NV Energy for the Carson Lake geothermal project in Churchill County, Nevada. A local geothermal company is set to branch out, selling solar power from its Heber-area facility to the Imperial Irrigation District. Ormat Technologies Inc. announced Wednesday that it has signed a power purchase agreement with IID for 10 megawatts of solar photovoltaic energy, according to a press release from the company. The project, Ormat’s first independent photovoltaic project in the U.S., will be located near the Heber geothermal complex. Kenya Electricity Generating Company has launched a 540 megawatt geothermal power plant in bid to increase electricity generation in the country. The geothermal energy development outlook is favourable as regards Italy and Europe. The latter was confirmed by the 2011 Report on the European geothermal market, presented at the EGEC (European Geothermal Energy Council) Conference that was recently held in Milan. The US Bureau of Reclamation has signed a Record of Decision for the Final Environmental Impact Statement on the impacts of issuing a 20-year license authorizing a 22 mile overhead 230kV electric transmission line and a 2.5 mile buried fiber optic line as part of the Salt Wells Geothermal Project. Ram Power has announced that the Phase I expansion at San Jacinto-Tizate has been successfully synchronized to the Nicaraguan national integrated electrical grid. The Company expects commercial operation of the Phase I expansion to begin in the near future. The U.S. Bureau of Land Management will offer two parcels near Waunita Hot Springs in Gunnison County for geothermal energy development during its quarterly lease auction, Feb. 9 at 2850 Youngfield St., Lakewood, Colorado, USA. 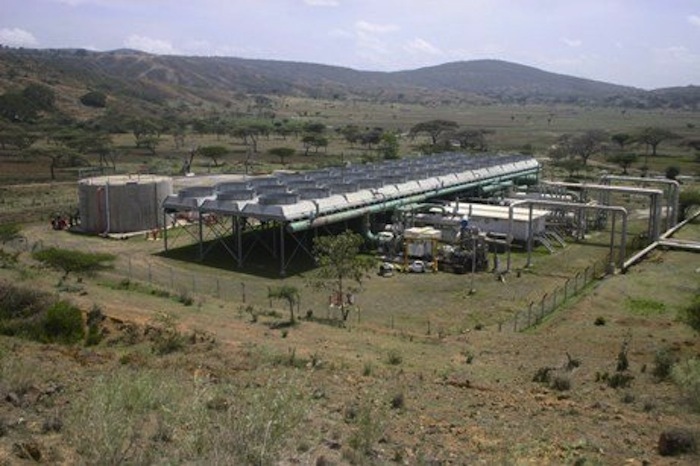 Ormat Technologies Inc. said it signed a power purchase agreement allowing it to sell electricity from a 10-megawatt solar facility in California, its first photovoltaic project in the U.S.
A new Geothermal Risk Mitigation Facility will help attract investment for the construction of geothermal power plants in Eastern Africa by partially offsetting the high financial risk prompted by unsuccessful exploratory drilling. A grant totalling €50 million has been made available for this purpose. The signing ceremony took place in Addis Ababa, Ethiopia, on 13 December 2011. U.S. Geothermal Inc.), has announced that it has been informed by engineering, procurement, and construction contractor, SAIC Constructors LLC, that mechanical completion has been achieved on a new power plant at Phase I of its San Emidio project, located in Washoe County, Nevada. Mustang has announced that it plans to start a new exploration program consisting of 200 shallow temperature gradient drill holes on the Company's geothermal concessions in Peru. Register as a GRC member online and receive a $200 discount. If you wanted to create a laboratory for clean energy, you might pick these attributes: an isolated market; one that’s almost wholly dependent on fossil fuels; and it has abundant wind and sun. One such lab already exists. It’s called Hawaii. Gov. Benigno R. Fitial said he is seeking the help of Sen. Lisa Murkowski (R-Alaska) to secure a $100 million interest-free loan from the U.S. Department of Energy in line with the administration's focus on geothermal energy production. The government has yet to award a contract to a firm that will investigate the viability of tapping geothermal power on Saipan. Indonesia's Energy and Mineral Resources Ministry and the Forestry Ministry will sign a memorandum of understanding (MoU) to ease licensing procedures for the exploration of geothermal energy in protected forests. September 30 - October 3, 2012. "The only resort in the United States whose heating source is totally provided from geothermal energy produced on the immediate property." 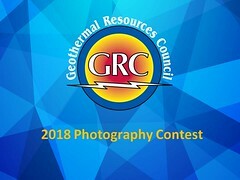 This is the first post to the blog of the Geothermal Resources Council (GRC). We will keep you up-to-date with the latest news from the geothermal energy community around the world.